Dennison Twp. Vo. Fire Co. participated in Winterfest at Nescopeck State Park this year, as they have for the past 5 years. This year they were offered the opportunity to sell food and beverages as well as demonstrate ice rescue techniques. 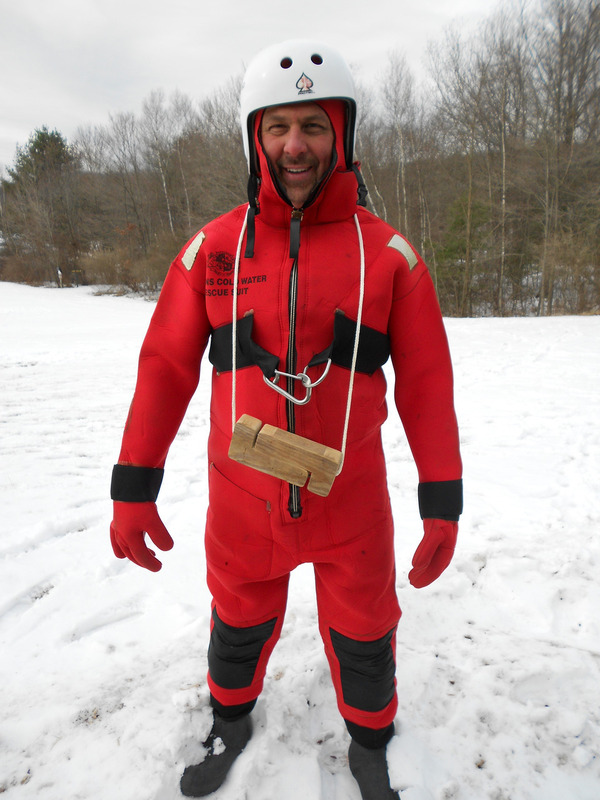 Ed Jarick Is shown preparing to enter the water to demonstrate the ice rescue techniques. Dennison Township Fire Company meets the second Tuesday of each month at 6 p.m. in the Township Building.